Hello everyone – here are my latest pics. I have mainly themed these round two locations – one is the place where I work as that enabled me to get a lot of the target words covered and the other is our recent trip to Tatton Hall in Cheshire as I was looking for some interesting ways of covering some of the other words.There are also some random ones so I will start with those first. 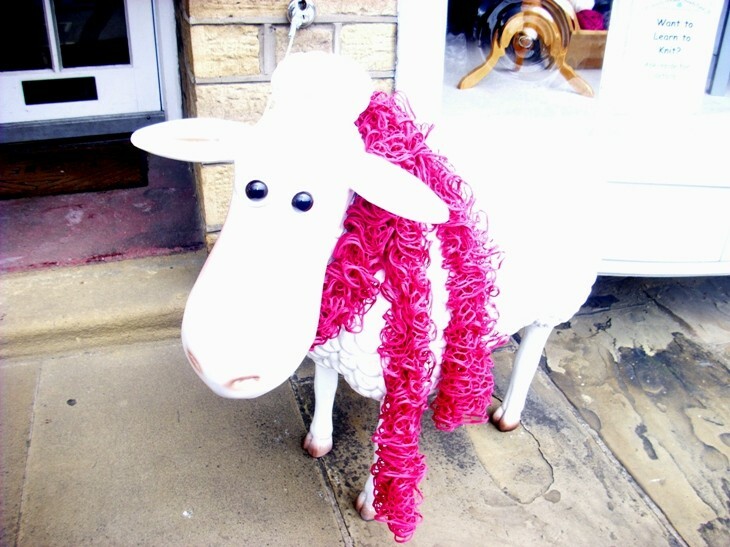 My lovely LYS Woolly Minded and Beady Eyed has a new addition , this very cute sheep now resides outside the shop wearing a fetching fancy yarn scarf. He is looking a bit over exposed in this pic as he has nice woolly curls on his back that you can’t really see here. Luckily Ellie brought this home just after we got the words for this month – it is a pressie for one of her friends so I snapped it straight away! This is the first of the pics from Tatton Hall and was part of the displays of vintage toys in the gamekeeper’s cottage. 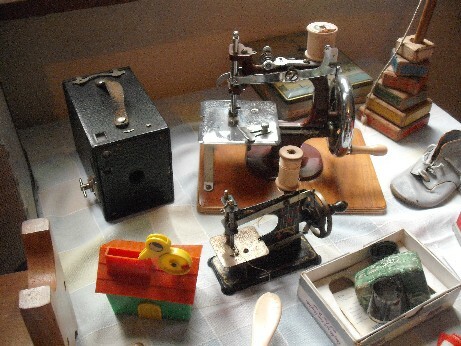 My grandmother was probably the one who taught me to sew as a child as she was very good seamstress and I do remember having a machine when I was young , though not a miniature one like these. My grandmother used to make most of mine and my sister’s clothes and we were always dressed in matching outfits – I remember one particularly fetching one of tartan kilts and ponchos (luckily I don’t know where the photo evidence for that has gone so you will be spared!) She did used to take me fabric shopping a lot , to the local markets and to a marvellous shop called Gordon Thoday’s which was a huge shop with bolts of material everywhere. Therefore I suspect she is responsible for my fabric addiction – thanks Nana! 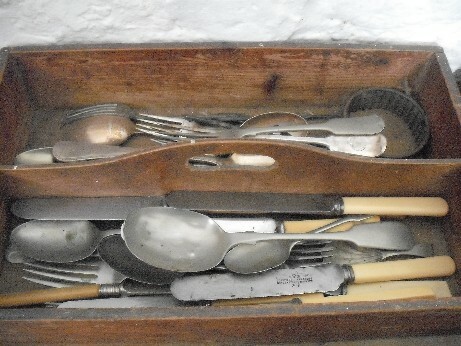 Again from Tatton – this box was in the Victorian Kitchen. 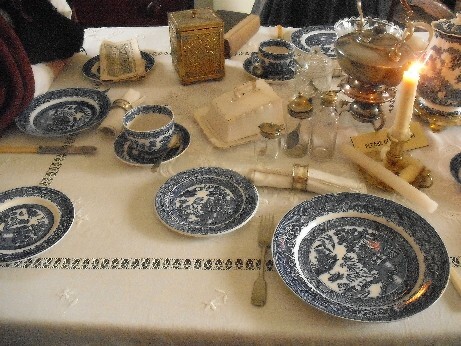 And this was in the Victorian Parlour laid for high tea with the china cheese server on the table – in the days when cheese all came in the same shape! 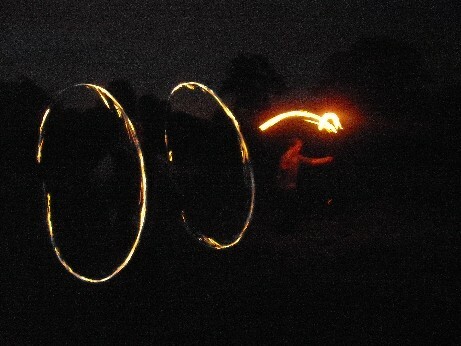 This is my little friend Paddy on the right of the pic from our medieval group with a fellow fire juggler. This is part of what we do to entertain ourselves of an evening at an event – along with the campfire and ale (or in my case cider!) Paddy is 11 so he is doing really well at it and was able to produce some great fire circles himself. This was an easy one as this is where I work , this sign is on the outside of my office wall! 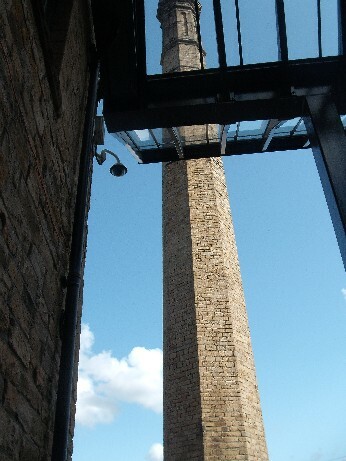 And this is the view outside the door of my office, the section of the campus where I work is all the old converted textile mills and this is the old mill chimney in the car park. You can still smell the lanolin in some of the buildings and the canal runs at the back of them. 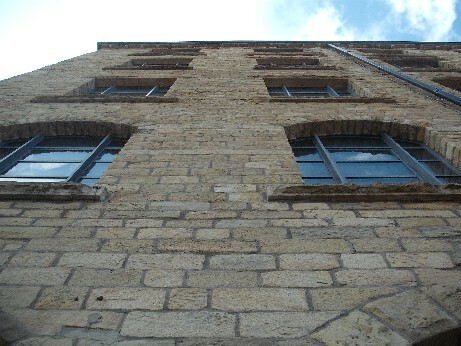 This is my building, the old mills were five or six stories high and made from beautiful Yorkshire stone. The canal behind the buildings is lined with trees with seating areas along the canal path and ducks and squirrels which makes it a lovely campus.The building I work in is called Lockside as it is next to the working lock and in the summer lots of canal boats go past.The canal was restored and re-opened about 10 years ago. I studied at the University as an undergraduate and then this building was called Z Block, I had my Geography lectures in here. 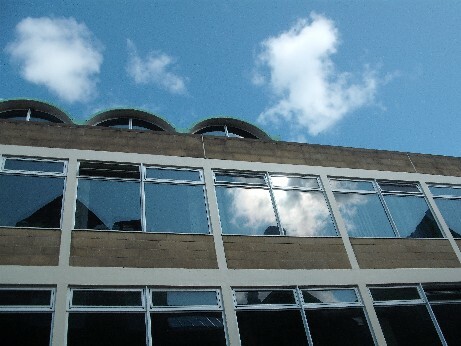 I really like the detail on the roof and I am pleased with the reflections of clouds in this pic. 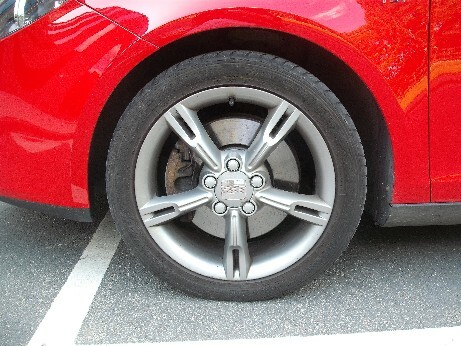 Another of the set of pics taken at work – lots of cars park on our campus and this one had a very pretty wheel! I think it looks a bit like a quilt pattern. I do hope you like the pics and look forward to seeing everyone else’s, I will be popping over to Kathy’s blog to do that later and to get the list for next month. We are off to London next week to do some sightseeing so I am hoping to get some of them then. Hi there, great photographs! I love all the ones from Tatton, especially the cutlery! Thanks for joining in! The little elephant is lovely. Really interesting selection of photos, so much history. 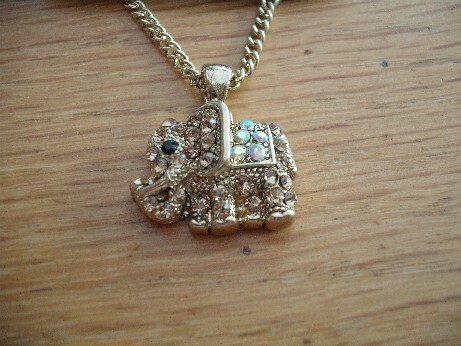 And a sparkly elephant! Yes I do love history of all types – the grand stuff of castles and kings as well as the very ordinary social history. 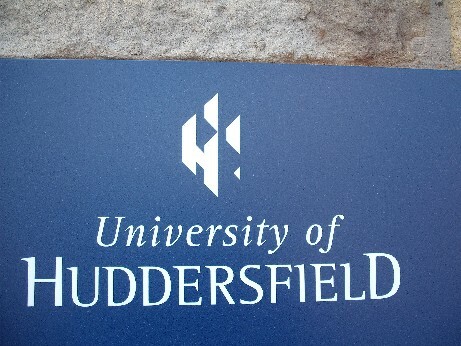 The University grew out of the Mechanics Insitute which I posted a pic of in the May Scavenger Hunt and that used to run night classes for the people who worked in the mills. I love that the area here has so much indutrial heritage. Lovely photos, Tatton looks wonderful. It is well worth a visit at any time of year – the lakes and deer park are beautiful as well and there is lots of space to walk and cycle if you want. I am hoping to visit the other house (which is later period – Georgian I think) for their Christmas Fair this year. Very interesting tree branches. 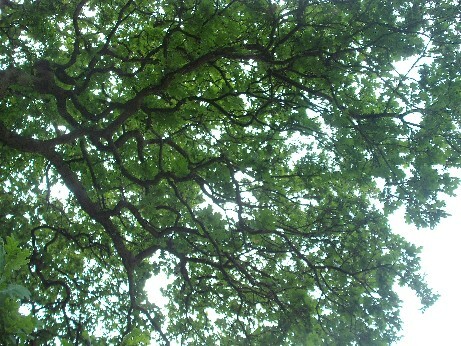 How refreshing it would be to sit under its shade today, on this VERY hot July day! Lucky you, we have not been having good July weather here – this week is ok but last week was very wet in places! Love the pics and quotes on your blog – it is very inspirational. Thanks very much for your kind comments and I am glad that you are enjoying the blog. I am really loving doing the Scavenger Hunt – not only for taking more pictures but also for being able to visit lots of lovely new blogs.